This sounds crazy to discuss Pump Soap vs. Bar Soap, but many people (myself included) have an opinion/preference regarding the form of hand soap displayed in their bathroom. Personally, I love pump soap for everyday hand washing. 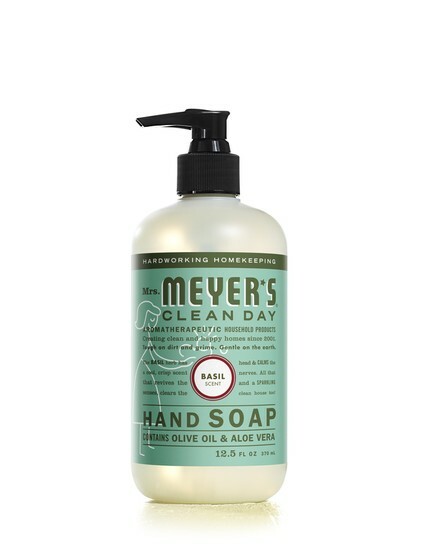 I am a huge fan of the Mrs. Meyer's line of hand soaps. They smell delicious and I love that they are non-toxic. 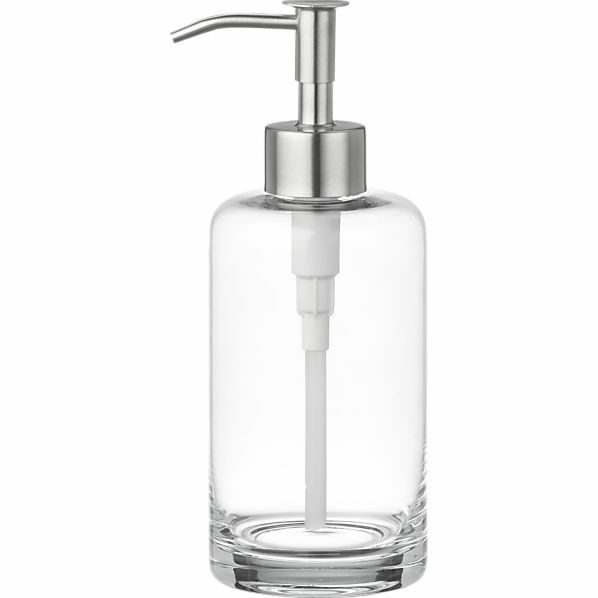 I even think the packaging is pretty enough to display without transferring to a more formal pump soap dispenser. It can add a fresh pop of coordinated color to a sea of monochromatic countertop accessories without having to permanently commit to that additional color. 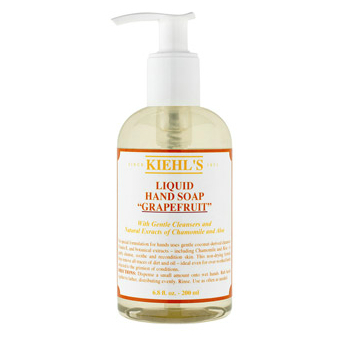 Liquid Soap overall is a great option for everyday hand cleansing because it leaves little mess post-use and accomplishes the obvious (sanitizing your hands). If you are interested in outfitting your bathroom sink with pump soap, here are a few suggestions for different liquid soaps and containers that I happen to love. Soap Pumps: The Container Store Deco Pump Soap Dispenser, Crate & Barrel Glass Soap Pump, Restoration Hardware Asbury Park Large Dispenser, Blomus Primo Soap Dispenser, Waterworks Silver Leaf Soap Dispenser. When I am entertaining, I like to put out a proper soap dish with a nice quality bar of hand soap. I love the traditional look of the soap bar and it makes my bathroom feel more home-like. Reason being- when is the last time you saw a soap dish and bar soap out in a public bathroom? (probably never- because it wouldn't be sanitary). The hand bar soap is always associated with a home (or hotel room). 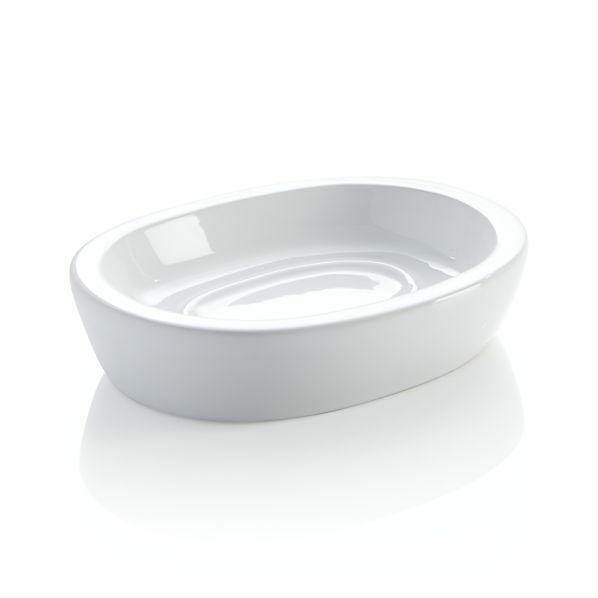 It makes the space feel more personal and inviting (in my opinion), which is why I opt for the bar soap and soap dish when entertaining. Bar Soaps: Swedish Dream Soap, Mrs. Meyer's Daily Soap Bar, K. Hall Designs Milk Bar Soap, Fresh Waterlily Oval Soap, Jockey Club Bath Soap (Set of 3). In the end, this debate really doesn't have a winner. Actually, this debate really wasn't even a debate, but rather a look into the variety of options that exist in the world of hand soap and soap accessories. Pick whatever soap works best for you and if you have the opportunity to try any of the items I have talked about in this post, you won't be disappointed!